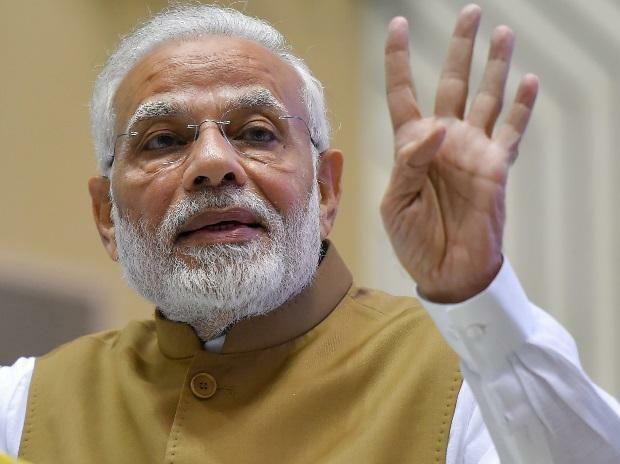 Prime Minister Narendra Modi on Friday announced a 12-point package for micro, small and medium enterprises (MSMEs), aimed at giving them access to credit and increasing their cash flows, along with a liberal business environment. This comes two years after the Prime Minister had announced demonetisation of old currency notes of Rs 500 and Rs 1,000 — a move that had affected small and medium businesses the most. The package, which he termed Diwali gift and includes relaxation in labour laws and environmental rules along with changes in company laws, may come as a relief to small and medium enterprises, which are facing liquidity crunch owing to issues related to non-banking finance companies (NBFCs) and weak banks. Citing official figures, MSME Minister Giriraj Singh said 65 million firms employed 120 million workers in the sector and generated the highest number of jobs after agriculture. “In this age of globalisation, these reform measures will go a long way in strengthening the MSME sector. I will myself do a focused monitoring of the government’s reach-out to small businesses across 100 districts in the next 100 days,” Modi said here in the national capital while announcing the move. The Prime Minister announced a 2 per cent interest subvention for all goods and services tax (GST)-registered MSMEs on fresh or incremental loans up to Rs 10 million. Modi announced a Rs 60 billion package for creating 20 hubs and 100 tool rooms for technology upgrade. He also announced an increase in interest rebate from 3 per cent to 5 per cent for exporters who receive loans in the pre-shipment and post-shipment period. He also announced the countrywide launch of a web portal to sanction loans of up to Rs 10 million in just 59 minutes. The loan portal, which was launched as a pilot project in September, has already seen in-principle approval to 72,680 loan proposals worth Rs 236 billion. Companies with an annual turnover of Rs 15 million or less are considered MSMEs and this definition will be expanded to include those with an annual turnover of up to Rs 50 million. MSMEs are allowed to file quarterly returns under the goods and services tax instead of monthly returns. “Increasing the interest equalisation from 3 per cent to 5 per cent is a timely move and will help exporters to get credit at competitive rates close to international benchmarks,” said Federation of Indian Export Organisations President Ganesh Kumar Gupta, adding that banks should move proactively to increase the flow of credit to the export sector as there is about 50 per cent drop in credit in August 2018 compared to last year. A reduction of 2 percentage points in interest by banks to MSMEs is a "real Diwali gift" and will encourage more firms to register with the GST, Confederation of All India Traders Secretary Praveen Khandelwal said. In a bid to increase market access, central public sector enterprises (CPSEs) have been asked to procure 25 per cent of their purchases, up from 20 per cent, from MSMEs. Of the 25 per cent, 3 per cent purchase will now be reserved for MSME firms belonging to women entrepreneurs. All public sector undertakings will also compulsorily be part of government e-Marketplace (GeM), which will give market access to smaller companies as out of 150,000 suppliers on the portal, 40,000 are MSMEs. All companies with a turnover of more than Rs 5 billion will be compulsorily brought on the Trade Receivables e-Discounting System (TReDS), which facilitates the financing of trade receivables of MSMEs through multiple financiers. “Often, delay in getting payment for supplying goods to big firms impact their cash flows and business comes under pressure. This platform will help entrepreneurs, who can upload confirmed receipts or bills which are pending payment, to access credit from banks,” Modi said. Modi said MSMEs can now register their complaints related to delay in payment from large firms on the MSME Ministry’s Samadhan portal and the government will intervene to ensure they receive their payments. For ‘ease of doing business’, Modi said an Ordinance has been promulgated through which entrepreneur will no longer have to approach the courts for minor violations under the Companies Act. “For minor mistakes, under the Companies Act, entrepreneurs face criminal case and sometimes they even have to go to jail. For resolving minor mistakes, go to the courts. Now this to be resolved through some penalties,” Modi said. Industrial clusters of small pharmaceutical companies will be set up and 70 per cent of the cost will be borne by the Central government. MSME firms will now have to file their returns under eight labour laws and 10 Union regulations only once a year, instead of the present requirement of two. Instead of two separate clearances (environment clearance and consent to establish) for setting up a firm, under air pollution and water pollution laws, both have been merged as a single consent. He also said that the routine inspection of firms for environmental norms will substantially be reduced along with a computer-generated inspection for labour laws to do away with inspectors’ discretion.